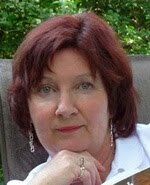 This weekend's guest blogger - "guests", in fact - is/are Victoria Abbott. The is/are caveat meaning that "Victoria Abbott" is the pseudonym of the very well-known Mary Jane Maffini and her soon-to-be-very-well-known (if not already) daughter, Victoria Maffini. That's Mary Jane on the right, and Victoria on the left, in case anyone was wondering. The ladies are currently hard at work on the third book in the series, The Wolfe Widow, due September 2014. 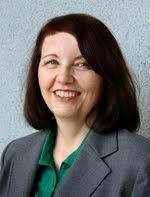 For more insightful info on the dynamic duo, go to: www.victoria-abbott.com. Now, over to you, Mary Jane. In August of this year, Elmore Leonard died, two months short of his eighty-eighth birthday. I was a big admirer of his quirky bad guys, riveting tales and wickedly perfect dialogue. The news came as I was belatedly becoming hooked on Justified, a television show based on Fire In The Hole, based on one of Leonard's short stories. At the time of his death, Elmore Leonard was executive director on the television series. This was good news in one way. Who doesn't want a role model in media success for when you eventually lumber toward ninety? But on the other hand, does it mean what I have long suspected: the genre is so addictive that there's no getting out of it alive? If Leonard is Exhibit A in support of that theory, I offer up the great Dame P.D. James as Exhibit B. As far as I can tell, nothing will be stopping her either. Death Comes to Pemberley was published when she was 91. Have we heard the end of her? Probably not, as she is still breathing. My daughter, Victoria, and I are currently collaborating on The Wolfe Widow, the third Book Collector Mystery (more about those later). It involves the memorable Nero Wolfe. created by the prolific Rex Stout, who managed to complete 47 Nero Wolfe books (among others) by the time he shuffled off at 89. Somewhat worryingly, the books continued to be written after his death as Robert Goldsborough kept on with the character. My point is that "Freedom 55" is just not on the horizon for most crime writers. Not for us retirement with the possibility of endless games of golf, cooking clubs, volunteering and other lovely activities, although we may possibly work those into our schedules between edits and autopsies. The thing is, there's always something that stirs a crime writer's interest in the paper, and instead of confining yourself to a simple 'Isn't that tragic, dear, how that woman disappeared?' Or 'Gee, that fellow took a header off the sixth floor balcony', your mind begins to whirl. You ask yourself, "What if?" What if things are not what they seem on the surface? While your mind keeps spinning, your fingers begin to itch. You start to believe that most situations could be improved by spotting a little murder. Apparently, there is no escape. 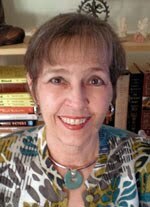 You may no longer sell what you write or even be able to read what you wrote, but the odds are that - long after others are reclining in their lawn chairs or swimming through buffets on a round of cruises - you'll be staring at your screen until drops of blood form on your forehead - to update Gene Fowler. Furthermore, once you're done plotting that tricky scene, you'll be struggling with the latest form of social media to help you get the word out. If you master Blogger, Facebook, Twitter and Instagram, then up will pop Pinterest or the phenomenon of virtual assistants. You'll have to get with at least part of the program. And who knows what's around the social media corner? Trust me, you won't be ready for it. Not that I'm complaining. I've come to accept that as long as people get on my nerves, or criminals get away with nasty deeds, or someone cuts me off in their Cadillac Escalade, I will be glad to ply my murderous trade. Good thing too, because as we learned with Rex Stout, not even death can stop you. This year, I might have expected to knit, garden, and lunch with the girls. Instead, my daughter Victoria and I launched our new collaboration. As Victoria Abbott, we're writing a series of light-hearted contemporary mysteries that draw on the great books and writers of the Golden Age of Detection. Come to think of it, most of them also wrote until they simply keeled over. Again, good role models. There are wonderful aspects to this collaboration, not the least of which is that someone else is in charge of Twitter and Pinterest. So, we've checked off Agatha Christie in The Christie Curse and Dorothy L. Sayers in The Sayers Swindle (coming December 3rd), and Rex Stout will get a workout in The Wolfe Widow. And we're just getting revved up. We still have dozens of writers to draw from. And as I stare into the murky future, I've decided I plan to go out with my boots on. I guess I had better explain that to Victoria. She should relax and enjoy the ride, because there really is no escape for either of us. Thanks so much for having us here at Type M today. This is a great crowd to hang out with. Last month I went back to Kansas. I had four signings. One of the funniest was in Hoxie, where I lived for twenty-five years. 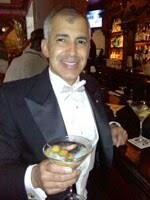 My previous signing at Oscar's was a gigantic success. This year only about five people came. No one was left in this little town of around 1000 because the girl's high school volley ball team got to go to state and every just left to support the team. Nevertheless, I sold 17 books. Folks just left money and instructions for the autographing. Tuesday I had a signing at the Pensacola Public Library. The timing was horrible. It was right before Thanksgiving and in the morning to boot. Quite a few people came anyway, They were a very enthusiastic audience, but no one bought any books except my niece. Why? Don't know. That's the way it goes with signings. But I've heard you reach seven people with every book you sell. Signings are very, very unpredictable. Pensacola, Florida has around 300,000 population. Logically, it's easier to sell more books in a larger town, but it doesn't always work that way. However, I met some wonderful people at the library and was certainly pleased that the librarian plans to order all of my audio books. We had a wonderful Thanksgiving. A number of family members were at the gathering. It was a very joyful occasion this year. My nephew and his wife, Charles and Brenda Mader, were outstanding hosts. Our family had much to be thankful for. On a personal level, it's been a wonderful year. I'm back in Colorado as I write this, just hoping this post will be on time. One of my biggest blessings is all the friends I make in the writing world. Type M'ers are very dear to me. What a great group of writers. John here, wishing everyone a Happy Thanksgiving. I'm in Old Orchard Beach, Maine, so I'll share a Turkey-day beach photo with you. I have much to be thankful for this year: I'm enjoying my new teaching job at Northfield Mount Hermon School, I have two books coming out (now weeks and months away) and a contract to write two more, and, most importantly, my family is healthy and happy. In fact, we're spending the day with my mother, who this summer underwent a heart procedure, and this fall gave us all another scare. So it'll be great to see her spend the day with her granddaughters. In an admittedly-disjointed post, I'd like to swing back to writing and hear how how writers are using cloud products. Specifically, I'd like to hear about people's experiences with Google Drive and Docs. I have Dropbox accounts, but just found Drive, and the Google products seem a good alternative -- even Google Docs, which has saved me twice during power outages this year. (So impressed, I got my 12-year-old a Chromebook for Christmas.) Thoughts? Barbara here, saying goodbye to an old friend. After thirteen years, the curtain has descended on perhaps the most perfect little literary festival in Canada – the Wolfe Island Scene of the Crime Mystery Festival. I have had the privilege of being involved both as an invited author and behind the scenes as a board member for the past six years, and it was with a mixture of pride and sorrow that we voted this fall to discontinue the festival. We felt we had brought all we could to the festival over the years and wanted to end it on a high note. Wolfe Island is the largest of the famed thousand islands in the St. Lawrence River which serves as the border between eastern Canada and the US. Beneath its deceptively bucolic facade of heritage churches and tight-knit families, it has a devilish history of smuggling, rum running, and contrary individualism. It is also the birthplace of Grant Allen, Canada's first crime writer, whose grandmother, the Baroness of Longueuil, was a founding settler of Wolfe Island. What better place to host a festival devoted to crime fiction? From the start, the one-day festival had a unique vision. A maximum of 100 people, only five featured authors, and an annual Grant Allen Award given to an established Canadian author who has made an outstanding contribution to Canadian crime writing. The day started with a free ferry ride from Kingston and a coffee hour with the authors at the lakeside patio of the Island Grill. From there the day was packed with author readings, writing workshops, panel, guest speaker, and award presentation, all within the gorgeous halls of two heritage island churches. It was an informal, "homey", deliberately small festival that provided attendees with an old-fashioned "island" experience and plenty of chances to mingle closely with the featured authors. Behind this intimate experience that drew attendees back year after year was a group of volunteers: board members who committed to numerous planning meetings a year, and others who committed their time for the weeks or days surrounding the festival. Scene of the Crime's board was made up partly of mystery writers responsible for the writing aspect and partly of local Wolfe Islanders who formed the logistical backbone. It was these latter Island volunteers, and the women's auxiliaries who prepared the old-fashioned church lunches and suppers, who gave the festival its unique feel of stepping back in time. But mounting a successful festival year after year requires hard work, constant innovation, and the sacrifice of other interests and activities, not to mention family life! 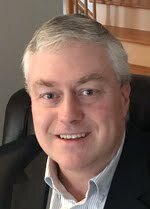 After years, board members felt they had contributed all they could and although many people came forward with offers to help, none could make the commitment to take over the reins. It's difficult to stop something that fills a unique need and has been a continuing success, but allowing it to lose its vibrancy and novelty would be worse. In a final gesture to honour the man who inspired the festival, the Scene of the Crime board commissioned the restoration of the Longueuil burial monument in the Trinity Church cemetery on Wolfe Island. A ceremony to rededicate the monument was held on a lovely autumn afternoon in October. The contribution of the perfect little literary festival will live on in that block of limestone as well as in the memories of all the invited authors who had the privilege of participating and all the mystery lovers who shared the day with them. We live in a very different world since the 1900s disappeared into the rearview mirror. I’m sure someone a hundred years ago might have said the same thing. Heck, some wise person one thousand years ago probably did, too. But in my case, I think I’m standing on more solid ground than did those in the past. You see, even twenty years ago mankind didn’t have social media and nearly instantaneous communication on a global scale. These things, the “Internet Age” as it were, are game changers for all of humanity. I’ve been thinking about this for the past several weeks as I observe the three ring circus that is current Toronto politics (and which I wrote a bit about last week) But also in Canada’s capitol, Ottawa, there is a major scandal involving the current government, the Canadian Senate, and the Prime Minister’s Office. Both of these events are evolving daily because of our new communications reality. Want the Ford video, taken with a mobile phone? You can be sure it would eventually show up, because things like that can seldom be contained permanently. Want to find out who knew what and when in Ottawa? Just follow the email trail. South of the 49th parallel, there are more scandals than you can count with new ones popping up every day. Not being in the news loop for much of the rest of the world, I am confident that all countries are having their own issues with what passes for the truth. Okay, so how has the Internet changed the game of finding out what’s true and what’s not so much? There are numerous reasons, but let’s focus on two. First, mobile phones connect us all in ways that are truly astounding. People in the middle of nowhere, in the back of beyond, have and use mobile phones and it isn’t to call home. They use them to make their lives easier, to keep themselves safe, in some cases to survive. But if they see something they don’t like or don’t understand, they can now tell the world about it with relative ease. You see, mobile phone manufacturers added something to their communication devices that we never had with our old rotary dial phones: they included audio and video cameras. That gave mankind not only the ability to communicate instantly from almost anywhere, but also the ability to provide video and audio to back up what they’re talking about. The other game changer for humanity is the Internet’s ability to store massive amounts of information. Again, it can be used for every day usefulness, things like looking up how to spell “Piazza del Popolo”, for instance. Again, though, there are more insidious uses of global data storage. Things like Wikileaks could not have happened fifteen or twenty years ago. You can bet governments are shaking in their boots over this sort of thing. Every person doing something nefarious now has to not only look over their shoulder for possible witnesses to their schemes, they can’t even see the person who’s keeping track of them. You might argue that this is a great thing for law enforcement, and it is, but it is also a wake-up call that all privacy is slipping away from us at a faster and faster rate. Governments are finding that out – the hard way. Sure every one of them spies on others, but now with the click of a computer mouse, someone with a conscience – or a grudge – can potentially bring down a government. Or on a smaller level, another person. That's the verse quoted at the start of Richard Condon's dark, comic novel, Winter Kills. The novel is actually a brilliant fictional riff on the Kennedy assassination; which was widely remembered this past week, of course, as the fiftieth anniversary was marked. Can it really have been fifty years? Wow! Time, like summer's warmth, does indeed fly. I do so wish I were making that up! Well, it's here! Winter! It's damn cold and there is snow on the ground. It's Ottawa, and it's late November. What else can we expect - except, maybe, a delay in the onset of it all? But it looks like that won't happen. Not this year - unless we get a second "Indian Summer"; or as they used to call it in Britain, "Saint Martin's Summer". In Henry IV, Shakespeare called it "All-Hallowe'en Summer". I kind of like that one. But whatever it's called, that magical late-season warm spell, I think we will not have another in Ottawa this year. Winter appears to be here to stay. Worse luck. Yesterday afternoon, Suzanne and I took ourselves out for a two-hour walk/stroll/mini-hike in the Greenbelt, that large piece of Ottawa real estate that has been spared the developers' attention. I can report that it was cold, and the surroundings were - at best - stark and forbidding. The trees now totally devoid of leaves, and looking very dead, swayed in the wind and, more often than we were comfortable with, made loud bumping noises. Not sure at all where the noises actually came from, although we stopped any number of times to try and ascertain their origin. We failed. And we moved on; visions of cold-wounded, tumbling trees dancing in our imaginations. And in fact there were a lot of fallen trees on the side of the trail, and even a few lying across our path. A sense of destruction and loss was all around us. On the initial autopsy report in 1950, doctors concluded that Tollund Man died by hanging rather than strangulation. The rope (around his neck) left visible furrows in the skin beneath his chin and at the sides of his neck. There was no mark, however, at the back of the neck where the knot of the noose would have been located. After a re-examination in 2002, forensic scientists found further evidence to support these initial findings. Although the cervical vertebrae were undamaged (these vertebrae often are damaged as a result of hanging), radiography showed that the tongue was distended—an indication of death by hanging. So, with thoughts of murder on my mind, I inevitably commenced thinking about the link between winter and homicide. Some images quickly came to mind. The opening scenes in Fargo, for example, where a body is found on a frozen lake in Minnesota (not North Dakota), shot to death in what looks like a random act of violence. The perfect flick for a cold winter night – soon to be upon us – with the wind and ice pellets beating at the windows. Since I own the film on DVD, I might just do that. I might even try and talk Suzanne into joining me. But, her homicidal thoughts from yesterday notwithstanding, I might have some trouble with that. She is, at heart, a gentle soul. I am striving to change that, though. Just now we are into the Second Season of Breaking Bad, and I can report that, in spite of all the meth-related horrors that routinely unfold on the 40-inch screen, she is really enjoying it. So, there is hope for her in the long run. The long run including the dismal cold that awaits us through the rest of November, and on through December, January, February, and even into March. Courage!, I say to myself. Courage! This too shall pass!! In case you live in the boonies or worse, Fresno, then you probably haven't heard about the fabulous Noir@Bar. It's like it sounds but to explain: it's hard-boiled, gritty Noir mystery readings in a venue where mystery fans love to hang out...a bar! Noir@Bar started in St. Louis though Philadelphia makes noise that they had something to do with it. Denver is hosting its third Noir@Bar, Dec 12, 2013. If you're in the area, stop by. And if you're not, then raid the kid's college fund and make tracks to the Mile Hi City. Our Noir@Bar effort is spearheaded by Jon Bassoff, who has a new book out, Corrosion, a tale of hard-boiled noir at its bleakest. The novel has been getting well-deserved reviews. Though I might be jinxing it a bit (but not too much as Bassoff has already spilled the beans), a movie adaptation is steaming forward--> Mike Macari (Executive Producer of the THE RING) has signed on as part of the production team. The Holidays are around the corner and what better way to feel good about yourself than by giving! In this case, give the gift of sponsoring this Kickstarter for the anthology: Cars, Cards and Carbines. (Full disclosure – I'm one of the contributing authors.) Support Literary by sponsoring us! I, Donis, here in the wilds of Arizona, can't write about anything that will top Toronto's current mayoral sideshow, or brag about an addition to the family, but I do have some news that makes me happy. 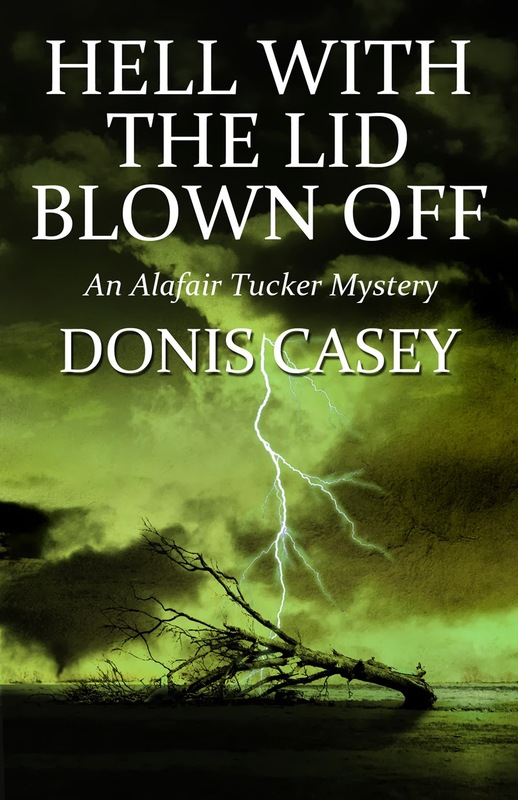 My seventh Alafair Tucker Mystery, Hell With the Lid Blown Off, is done. The seal of approval has been applied and the book has been given a place on the Poisoned Pen Press publishing schedule. It is due to see the light of day in June of next year. In fact, the cover artist has been sending around prospective covers, and I believe that as of today we may have a finalist. Here it is, Dear Type M Readers. You are the very first to have a gander. So the book is done at last. It took me a long time, as it usually does. And as usual when I finally finish a novel, I am brain dead. I have another novel half-finished, something that may begin a new series, and my plan was to immediately go to work on it once I got Hell off my hands. Instead I spend an hour or so checking Facebook and my email. Play a little on-line Solitaire. Bring up the half-done book and sit and look at it for a while. Then I get up and go clean something. I think I had just better forget it for a couple of weeks. I much prefer doing revisions to writing the first draft of a novel. In my metaphorical little world, writing the first draft of novel is a coarse, rough, sweaty process. You slap that gesso on the wall by the bucket load and slather on the background paint. It’s messy and hard and, for me, a daily act of will to accomplish. But rewriting takes real skill. It requires a true eye, real delicacy and finesse to shape that big old expanse of plaster into a work of art. I enjoy the rewrites. I love to see the story change shape and, if I'm lucky and skilled enough, grow into something beautiful. Of course, there are those horrible moments when you realize that I'm going to have to lose a scene that I really liked, or that word of which I am so enamoured because it no longer fits the picture. I think perhaps that’s when you know you’re a real writer, when you can cut good stuff for the greater good of the story. It takes a lot of discipline to write, or at least to get anything finished. Like a lot of writers, I often wonder if I’ve really got enough of that pesky discipline, and if I’m ever going to finish anything again. And yet somehow, I always do. 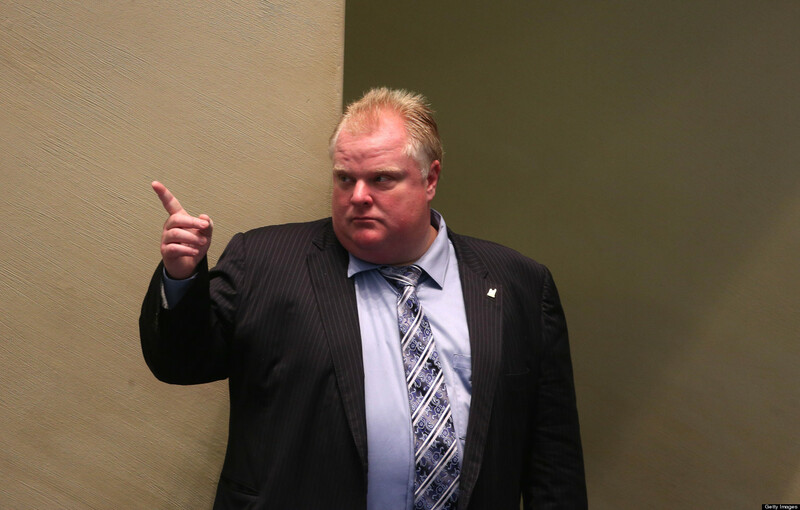 A couple of weeks ago I wrote about Toronto’s mayor, Rob Ford. I’m certain that unless you live under a rock in the Sahara Desert you’ve heard about him. I’m here to tell you, having spoken to the man a couple of times (once one-on-one for several minutes) back when he was merely a Toronto city councillor and I was teaching in his ward, that he is as arrogant and just plain dumb as you might think. Every day, we’re faced with new revelations, justifications and confrontations. As I’ve already said, it is all completely jaw-dropping. Yesterday was a case in point: Mayor Ford and his brother Doug baited the public gallery during the special council meeting called to remove funding from the mayor’s office budget and to remove even more of his powers than they did last week. I am not exaggerating that fisticuffs nearly broke out between the Fords and the people they were baiting. It was exceptionally ugly. Now our mayor has “declared war” on everyone who opposes him. We’re all holding our breath to see what that means. You see, because of the way municipalities’ powers have been set up by the Ontario government, Toronto cannot throw this man from office unless he is convicted of a crime and cannot attend his duties because of incarceration. We can only vote him out (And how he came to be elected is a sad story in itself.) Mayor Ford refuses to step down as has been requested. He says he was elected to serve and serve he will. I think council should have voted to remove all the furniture in his office and cut off the light and heat, too. You can’t make this stuff up. Believe me, we all wish it was made up. Anyway, there’s no lack of water cooler conversation these days. You can’t move anywhere in this city without hearing someone talking about the latest act of The Ford Follies. Talk about buzz! Wish he would share it with some of us poor writers. I am positive that several non-fiction crime writers are hard at work on the Ford saga, adding new chapters as each day dawns. What a gold mine it must be. Where will it end? Who knows? But the first thing I now do every day is turn to the online news feeds to see what has happened over night. Toronto has always had a fetish with wanting to be in the news. It now is, but for all the wrong reasons. The reason my post this week is so short and somewhat off-topic to what is usually discussed on Type M is because yesterday my wife and I welcomed our first grandchild into the world: Jackson Reno Blechta, son of Jan and Rena. I will spare you all the usual baby photos, but he is a good-looking lad. To say the least, my attention has been somewhat distracted. Charlotte's Book Sales Bouncers post struck a chord with me, since every year our church has a Christmas Fair and the book stall is run by those of us in the choir. I have to say we haven't had such nasty experiences but we do have to move in very firmly on the dealers intent on snatching up all the popular ones before anyone else has had a chance and we need to keep an eye on a few who seem to think cheap means free. Our trade isn't in rare or valuable books, more the sort of 'holiday read' market. I always enjoy it, though, because it's so interesting to see what comes in and what sells.. Previous big successes, like Hilary Mantell's Wolf Hall, turn up in quantity and go quickly, but the really big sellers, like The Da Vinci Code, keep appearing even years later though it's impossible to sell since everyone already seems to have a copy. Sometimes if readers have been disappointed in a book it turns up shortly after publication; JK Rowling's The Casual Vacancy was one of those last year, presumably because it was disappointingly short of wizards and Quidditch. Often there's a whole collection of a favourite author, obviously lovingly acquired over the years, and you suspect that it's been handed in for a sad reason - downsizing or death. Then there are the bags full of books that someone has obviously turned out of the attic and sent along without any selection process at all: the text book circa 1974, the children's book with scribbles on every page, the novel with both covers missing and last year - I swear this is true - there was actually a book of crosswords with all the puzzles filled in . There is a book sale, run by one of the churches in Edinburgh, which raises tens of thousands for charity every year, and of course the charity book shops like Oxfam heavily rely on this source of revenue. However, I visited one recently and noticed that their shelves were thinner than they used to be, the books stocked older.. Last year at our Fair there were far fewer newish books that there had been in previous years and I wonder how we will find it this year. There has been a recession, of course, and perhaps book-buying has been a casualty. Perhaps more people are using their local library. But I can't help wondering if the days of the hugely successful secondhand book trade, when it comes to popular paperbacks, may not be coming to an end. If you're going to buy a book that you're not going to read again, it makes a lot of sense to buy it online, instead of bringing a physical copy back to clutter up the already-groaning bookshelves. 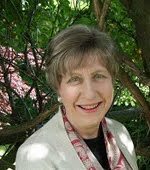 But you can't sell a secondhand ebook, so Charlotte's library and my church and Oxfam will certainly suffer..
Our guest blogger this weekend, probably needs no introduction, so I’m going to make this short and sweet. 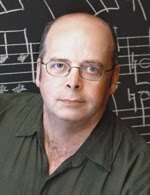 Reed Farrel Coleman is a goddam great writer, an multiple award winner (and a nice guy). If you’ve never read one of his books, you have done yourself a grave disservice. Rectify that at once, please! We are honoured to have him here at Type M once again. 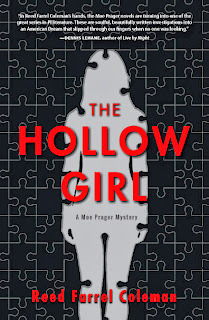 Yesterday, I received the above note in an email from a fan who was gracious enough to write about my decision to put an end to the Moe Prager Mysteries with the ninth novel in the series, The Hollow Girl. Any writer will tell you that it’s a great compliment to have your readers refer to your protagnoist as if he or she were a living breathing human being. Even if the remark is made in jest, it shows a level of connection and involvement with the character that persists long after the book has been closed and shelved. I sometimes wonder if readers can appreciate the sense of satisfaction a character’s creator experiences upon receiving this kind of validation. Beyond that, this note is particularly ironic, because I’ve been saying for years that I have no desire to have Moe move to Boca Raton and become the alter cocker detective. Alter cocker? Don’t ask. Let’s just say it has nothing to do with being a fan of Joe Cocker. Alter cocker is a Yiddish term taken to mean a cranky old person. 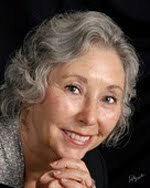 As the events described in The Hollow Girl play out, Moe Prager is roughly sixty-five years old. And while we’d all like to believe that sixty-five is the new fifty-five, Moe’s recent battle with stomach cancer has left him a more frail version of the man we’ve come to know through the earlier books in the series. He’s also suffered a great personal tragedy. So although I find it perfectly plausible for another author to write a viable senior citizen detective, I can’t make that claim for Moe. As Moe jokes, the only thing he can flash with any authority is his AARP card. I’ve also been asked if I will miss Moe. The answer for now is no. I love Moe as much as the fans do. Moe has been responsible for whatever critical acclaim I have received. He’s responsible for all but two of the awards I have won. He is responsible for much of the joy I have experienced as a writer. I often wonder where I would be without him. Yet, I always knew, even from the first word of Walking the Perfect Square—the inaugural Moe Prager Mystery—that the series, successful or not, would not go on indefinitely. Moe’s age, bruises, scars, gains and losses, have always been an integral part of the series. What is a character without growth and change? With The Hollow Girl, I have said all I have to say with Moe. I cannot squeeze anymore out of him without his life becoming parody. I couldn’t do that to Moe or to his fans. There’s an adage in sports that it’s better to trade an aging player one year too soon than two years too late. And so it was with the series. I decided that it was better to end it one book too soon rather than two books too late. Maybe I will regret my decision, but probably not. Regret is an enormous waste of time and energy. In the meantime I have also been working on other projects. One that I am very proud of. I have created a new character, Gulliver Dowd. Gulliver is a little person detective with a deformed body and a startlingly handsome face. He’s a bitter man with a big heart. He’s spurred on by the murder of his adopted sister, Keisha. An African-American woman who had overcome a great deal to become a member of the NYPD, Keisha is found murdered in the East New York section of Brooklyn. Gulliver makes it his mission in life to find his sister’s killer or killers and bring them to justice. This while working cases as a PI. These are novellas written in short declarative sentences and aimed at emerging readers, but interesting for even sophisticated readers. They are published by Orca Books in Canada under their Raven Books imprint and are available in the States. 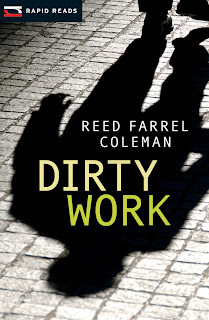 The first two in the series, Dirty Work and Valentino Pier are on sale now. The third in the series, The Boardwalk will be out in the fall of 2014. Although the Moe Prager series is done, I hope to produce new interesting characters like Gulliver Dowd, that will capture people’s hearts and imaginations. My ride with Moe has been a great one. And just between you and me, I should be making an announcement pretty soon about how my career will be taking quite a different and important turn. Believe me, I wish I could share it with you now, but I just can’t. 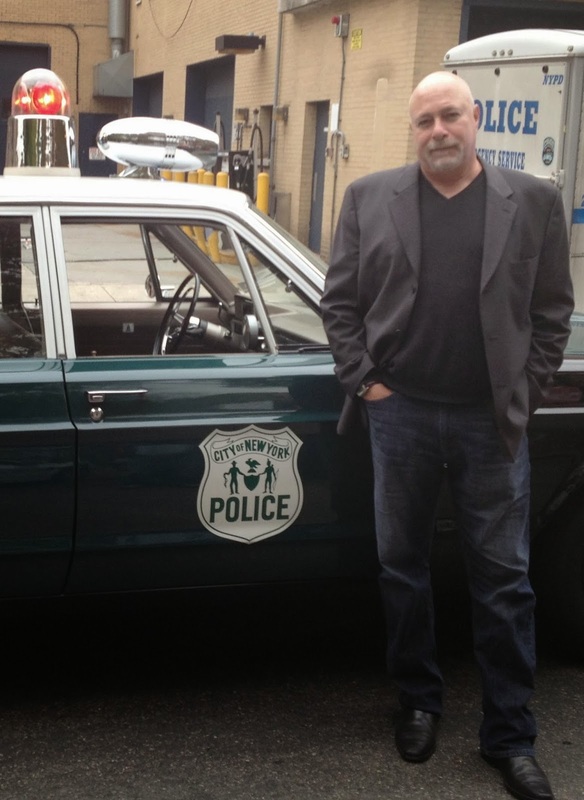 So please check my website www.reedcoleman.com and visit me on Facebook for the big news. In Reed Farrel Coleman’s hands, the Moe Prager novels are turning into one of the great series on PI literature. These are soulful, beautifully written investigations into an American Dream that slipped through our fingers when no one was looking. The series would make the greats—Chandler, Hammett, Ross and John D. McDonald, and James Crumley—very proud indeed. 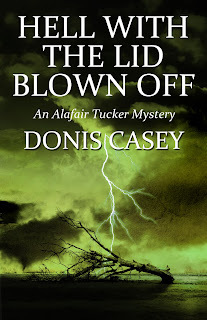 A little man with a huge heart and a huge chip on his shoulder, Gulliver Dowd swaggers into the crime fiction world and takes his place with the great investigators. Smart, vulnerable, wounded, heartbreakingly hopeful, I just adore his company. Called a hard-boiled poet by NPR’s Maureen Corrigan and the “noir poet laureate” in the Huffington Post, Reed Farrel Coleman has published sixteen novels, two novellas, short stories, essays, and poetry. 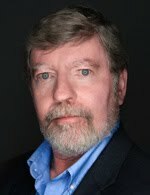 A former executive vice president of Mystery Writers of America, he is a three-time recipient of the Shamus Award for Best PI Novel of the Year and a two-time Edgar Award nominee. He has also won the Macavity, Audie, Barry, and Anthony Awards. 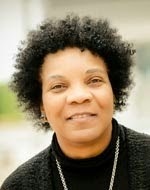 Reed is an adjunct instructor of English at Hofstra University and a founding member of MWA University. He lives with his family on Long Island. Hoodlums showed up this at the Loveland Friends of the Library book sale this year. They scared the members. Oh they weren't armed robbers, but they were a new variation of ugly. Groups of people surrounded the display tables and scooped up all the books and hauled them off into a corner. Then they scanned the titles and checked to see what their resale value would be on various internet sites. Our twice yearly book sale is a huge, much anticipated event run by many volunteers. Books are scanned over a six month period and classified by genre and author and given bar codes. It's an on-going process of sorting, boxing, and transporting. The sale lasts three days. The first day is members only. They get first shot at the books. Since out titles are marked at $2.00 for a hardcover and .50 for a softcover, the thugs could see at once which ones would make the most profit. They didn't steal the books. They paid for them after they seized the winners. It was the sheer rudeness that shocked and dismayed the customers. They were literally shoved aside. Workers were furious over piles of books dumped back on the tables they had worked hard to arrange. Even more worrisome were the people who left because they felt threatened. This is a much-anticipated community event and the library's biggest fund-raiser. The books, CDs, DVDs and audio books first arrive in the drop-off box at the book sorting place. The donations come from individuals, as well as from garage and estate sales, moves and downsizing, bookstore overstock and withdrawals from the Loveland Public Library. There are usually 55,000 to 60,000 items for sale. The sales bring in an incredible amount of money: $25,000-$28,000. After those who were in charge realized what was going on, the troublemakers were escorted out. But I'm sure the organizers didn't want to become bouncers at a community event. Most of us don't relish this role. 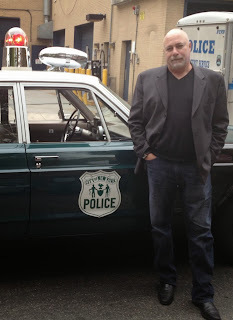 Last week, my agent, Julia Lord, called to say an LA-based TV/film agent asked to represent my August 2014 novel. Julia said the LA agent was "hot," and the last thing she took from her was the TV series "Bones." Of course, I'm thrilled, as you can imagine. I'm also chuckling like the cynical crime writer that I am. I know only two things about the TV and film industries: First, I certainly know that if someone makes a movie based on one of my novels, I can pay off my mortgage. And, second -- and more importantly -- I know damned well the odds on that happening are similar to those of Boston Bruins calling me (and my gimpy back) out of retirement this afternoon. One thing that I found interesting during the phone call was this question: "Now, I need to ask you about your artistic vision for the character," Julia said. "[The LA agent] is not sure your character will continue as a border patrol agent. Are you okay with that?" I have three daughters to educate, two vehicles with 100,000 miles on them, and a mortgage. What do you think I said? But it raised some interesting questions. Among them, When does my character stop being my character? "Would it bother you," my wife asked, when told of the conversation, "if someone made her something other than a border patrol agent or if they moved her from the northern border to the southern border?" Then again, the Bruins have yet to call. If you’ve hung around Type M for any amount of time, you know that I’m sort of the self-appointed commenter on book covers. There are a number of reasons for this – you could look ’em up – but every so often I post about book covers. Today is one of those days, but it’s also from a very different perspective. With my new novel entering the design stage, I thought it was important to make my cover design ideas clear to my editor. Being a graphic designer as well as the author, I figure I have some good ammo to putting forth my argument. I do know what makes a good cover image. Couple that with the fact that my previous Dundurn novel had a really excellent cover and the same designer will be doing this one, and my proposal met with cautious acceptance. The Fallen One’s cover that received a lot of compliments. The designer, Jesse Hooper, really hit it out of the park. Why he used a mask image in the first place wasn’t clear to me until I went searching for it on iStockphoto.com because I needed a larger version of the image for a poster I always produce for book signings. Lo and behold, the main keyword to identify the image was “opera”. When you search on this website with “opera” as the keyword, you get dozens and dozens of masks. I guess the general public thinks all operas have masks as part of the staging. Either that or Verdi’s Un Ballo in Maschera is the most popular opera of all times, something I doubt is the case (although it is a worthy work). So that’s how my novel’s cover came to have a gorgeous mask as its only image. Two summers ago when I was in Italy doing research on this new novel, Roses for a Diva, I had an idea of also using a mask on its eventual cover. This time, it would really make sense to have one, too, since there is a section of the book that would be set in Venice during Carnevale. Here’s what you might expect to see at the height of Carnevale in Venice. Lots of ideas were discussed as my wife and I walked around the city visiting a number of shops selling traditional Venetian masks (not the cheap foreign knock-offs). I found the one I really thought would work well for what I had in mind, took this photo of it (we even bought a small eye mask for my wife). We didn’t buy the mask basically because it would have been very difficult to get home without damage. 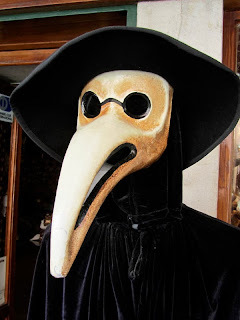 Historical note: This particular traditional Carnevale mask is called il medico della peste or “the plague doctor”. The long beak had a practical use. It would be filled with preventative herbs and perfumes to protect from disease and the stench of death. Obviously, considering the number killed by plague in the Middle Ages, people wearing this costume were considered harbingers of death. To my mind, coupled with the traditional long black robe and black hat or hood, it looks quite spooky and frightening, perfect for my needs. Could you imagine meeting something like that in a dark alley in the dead of night? If you wish to read more about plague doctors, click on this. So when Jesse told me last week that he was in on my cover concept, it was time to get hold of that particular mask. Only one stumbling point: I could not find the information of where the shop was, nor could we find the receipt for the mask we did buy. We had no idea where the shop was, either, since we’d visited so many. Yesterday, we spent about six hours each on our computers trying to come up with the answer, all to no avail. I’d checked all the stock photo websites months ago and had been unable to find an image of this particular mask that would work, so if I wanted to do this, I’d have to do a custom photo to be shot, meaning I had to buy that mask. What to do? My wife, the family linguini, widened her search to Italian sites rather than English. Did she find the shop? Sad to say, no, but she did find another atelier in the Giudeca section of Venice across the water from Piazza San Marco, and they make a very nice (and spooky) version of the mask. We ordered it this morning. Now comes the next step: shooting the cover image – which has its own set of problems, but at least we’re underway. Yesterday, though, I was at the depths of despair. Why did I ever take this on? I’m sure Jesse would have found some other sort of image that would have worked. I had this great idea, but then things went wrong – as they often do. Why do I always stick my oar in the water??? The simple answer (as my wife reminded me) is that cover images are crucial in selling a book, especially when its author is not that well known. An arresting image can make all the difference – even if getting it drives the poor author crazy.